Members of the Tasmanian Development Board are appointed pursuant to Section 5 (3) of the Tasmanian Development Act 1983. Brian's early career was working for the Australian Government. 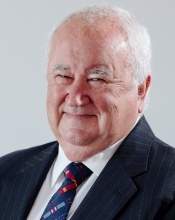 His executive career in superannuation and financial services between 1987 and 2002 saw him appointed inaugural Executive Director of the Association of Superannuation Funds of Australia. In September 1993 Brian was appointed Vice President, Business Strategy, Bankers Trust Australia Limited and subsequently Executive Vice President, Funds Management. This role involved responsibility for all non-investment functions including legal, compliance, operations, technology, marketing and human resources. From November 1997 Brian was promoted to President, Japan Bankers Trust Company Limited and following a takeover by Deutsche Bank in 1999, Brian was made Regional Head of Asia/Pacific, Deutsche Asset Management. Brian retired from full time employment in 2002 and since then has held a number of non-executive and industry positions including Chair of Spark Infrastructure and President of the Retirement Benefits Fund in Tasmania. Currently, he is Chair of OAK Possability, a not-for-profit provider of services in the disability sector, Chair of Propel Funeral Partners, Chair of Hastings Funds Management and Chair of the Macquarie Point Development Corporation. Professor Janelle Allison has recently retired as the Principal of University College, University of Tasmania. Janelle's role was to establish an innovative program to deliver contemporary new curriculum, producing the workforce for Tasmania’s future industries and while retired, Janelle retains an ongoing interest in and commitment to University College and its mission. Prior to this, Janelle was the Pro Vice-Chancellor Community, Partnerships and Regional Development at the University of Tasmania and the Director of the Cradle Coast Campus and Institute for Regional Development. Outside her support for University College, Janelle has established a consultancy, Athena Education, offering education and leadership services with a particular focus on transformative strategies in higher education such as disruptive and innovative curriculum and courses designed to reflect and respond to demographic and workforce needs. Janelle has a particular interest in the areas of participation in higher education and regional economic development and in her current role, advocates for an unwavering focus on producing graduates who are job-ready for industries where there is an employment need. Her strategic and creative thinking has established new ways to approach lifelong learning and, in collaboration with other parts of the University, community, business and industry stakeholders, she has developed a range of new educational initiatives which enable this. 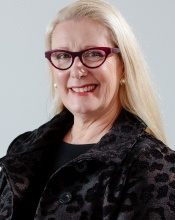 Janelle also sits on the Joint Commonwealth Tasmania Economic Council, chaired by the Prime Minister, the Hon Malcolm Turnbull MP and was recently a member of the Caterpillar Transition Taskforce. Naomi was appointed to the Board in 2016. 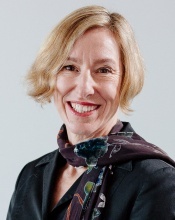 She is Chairwoman of Tasplan Super as well as a Director of the Australian Institute of Superannuation Trustees. Tasplan Super is an industry super fund managing over $8 billion of members' retirement savings, including the retirement savings of some 150 000 working Tasmanians. Naomi has had an extensive career in the financial services industry. In this capacity, she has been involved in investments in Australian and global companies, particularly companies in the renewable energy sector. 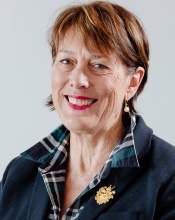 She is a former chair of Australian Ethical Investments, Australia's oldest ethical investment fund and a former board member of Hunter Hall, a listed global funds management company based in Sydney and London. She also sits on the board of Sydney-based company, Propel Funeral Partners. Naomi is a former partner of Deloitte, and in her role as a consulting actuary she has worked with large financial services companies in London, Asia, New Zealand and Australia. She was a specialist in the valuation of wealth management companies during mergers and acquisitions, for example, advising NAB on its acquisition of MLC. Naomi has a first class Honours degree in mathematics, is a Fellow of the Institute of Actuaries (United Kingdom and Australia) and a member of the Australian Institute of Company Directors. 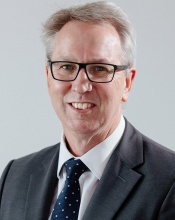 Kim has been a Head of Agency in Tasmania for over twenty years and was appointed Secretary of the Department of State Growth in September 2014, where he works closely with the Office of the Coordinator-General and Infrastructure Tasmania. He has previously represented the Tasmanian Government on several state and national boards and committees including the Tasmanian Institute of Agriculture, the Institute of Marine and Antarctic Studies and Tasmanian Irrigation. Kim currently sits on the Boards of the Macquarie Point Development Corporation, Tasmanian Leaders, and the Theatre Royal, and is the State Government's representative on the Board of SALTAS, a company established to assist the development of the Tasmanian salmon and trout industry. He supports growth in Tasmania’s visitor economy as a member of the Premier’s Visitor Economy Advisory Council, and the T21 Steering committee, and is the state’s representative on several national bodies including the Transport and Infrastructure Senior Officials' Committee. Kim is a graduate of the University of Tasmania where he completed his degree and Honours majoring in Science and is a member of the Australian Institute of Company Directors. Greg was appointed to the Tasmanian Development Board in 2016 and has a long-term financial management and technology background. Greg grew up and was educated in Tasmania and after graduating from the University of Tasmania worked in public practice as an accountant in Launceston for 10 years. 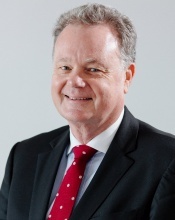 Early in his career he joined Deloitte, where he was a partner for 24 years and held a number of senior leadership roles including Managing Partner Papua New Guinea, Managing Partner Queensland, Managing Partner NSW, and Managing Director for Deloitte Consulting/ICS in Australia and several international roles. In 2004 he founded the Excentor Group of Companies, a Sydney based independent software and professional services provider that employs approximately 2000 people. Greg has extensive corporate financial experience, including as Chairman of ASX and NASDAQ listed companies. He also sat on the board of an eastern seaboard law firm for ten years and is the former chairman of NBN Tasmania Limited. Greg is a fellow of the Institute of Chartered Accountants in Australia and a Fellow of the Australian Institute of Company Directors. Mark is the Managing Director and Chief Executive Officer of Tassal Group Limited (including Tassal Operations Pty Limited, De Costi Seafoods Pty Limited and Aquatas Pty Limited), a position that he has held since November 2003. 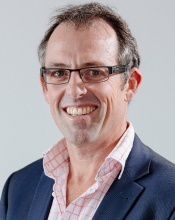 Mark holds a Bachelor of Commerce from the University of Tasmania, is a Chartered Accountant, a fellow of Australia Institute of Management and a Member of Australian Institute of Company Directors. Mark holds Board positions with the Tasmanian Development & Resources Board, Saltas Pty Limited (Industry hatchery), Millingtons Funeral Services and Cemeteries Pty Limited and Seafood Industry Australia. Brett was appointed to the Tasmanian Development Board in 2006 and is founder, owner and managing director of New Ground Network. As a respected property developer and businesswoman, she focuses on creating and developing places that are innovative, sustainable and commercially successful. Her developments in Tasmania are in the tourism, residential and commercial sectors. Brett has created a dynamic, jewel-box like modular Omnipod that cantilevers off a Hobart office tower. Omnipod is an invention that provides flexible, relocatable, beautiful spaces to inhabit. Brett's other current projects include long-term, major development project, The Green in Launceston. The Green is an innovative and sustainable development that will be home to around 500 families. It has been planned to create a cohesive, safe, vibrant and inclusive community. Brett's other appointments include Chair Tasmanian Heritage Council; Director Wallis Watson Capital Ltd; Director Tourism Tasmania; Chair Tourism Tasmania Finance Audit and Risk Committee; Non-singing Director Festival of Voices; Trustee Tasmanian Museum and Art Gallery, Chair Tasmanian Museum and Art Gallery Audit Committee; Director National Board of Creative Partnerships Australia and Director of the International Women’s Forum Australia.